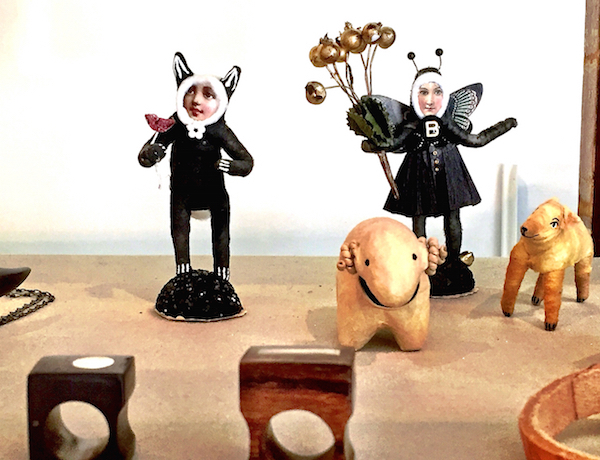 In its third year at 4 Old South Wharf, SPACE has made a name for itself sourcing stylish hand crafted, artistic products from near and far. 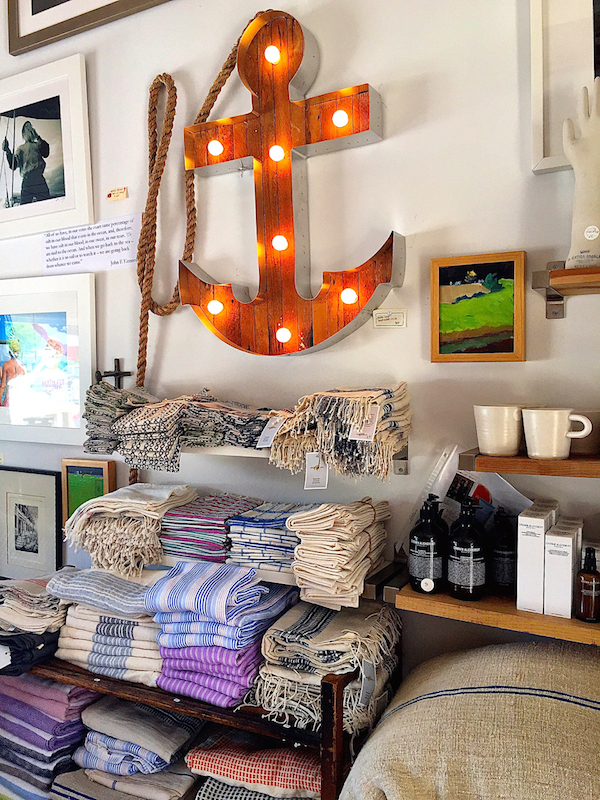 Owner Elise Gura has a great sense of the special, honed from years of eclectic experience all leading to her settling in this unique space on the wharf on Nantucket. 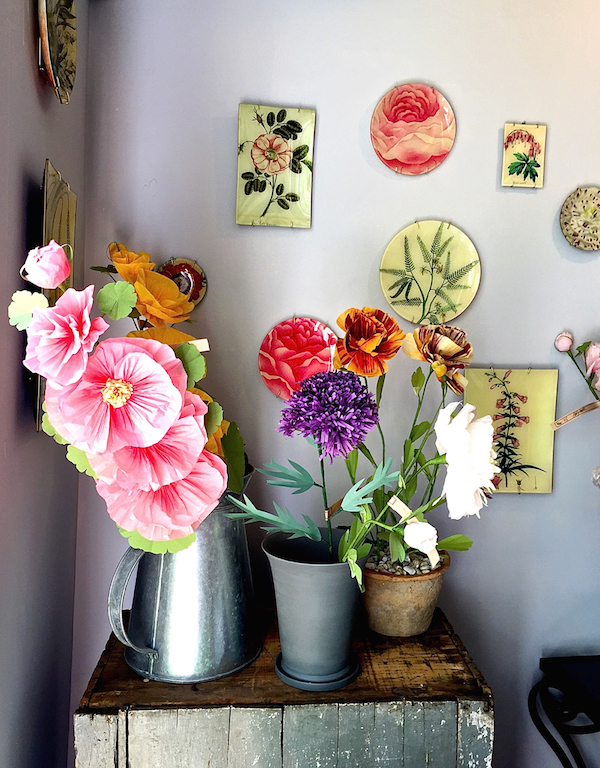 After 25 years as a chef, she then turned her skills to flowers, working for renowned floral designers Renny Reynolds and Stonekelly. 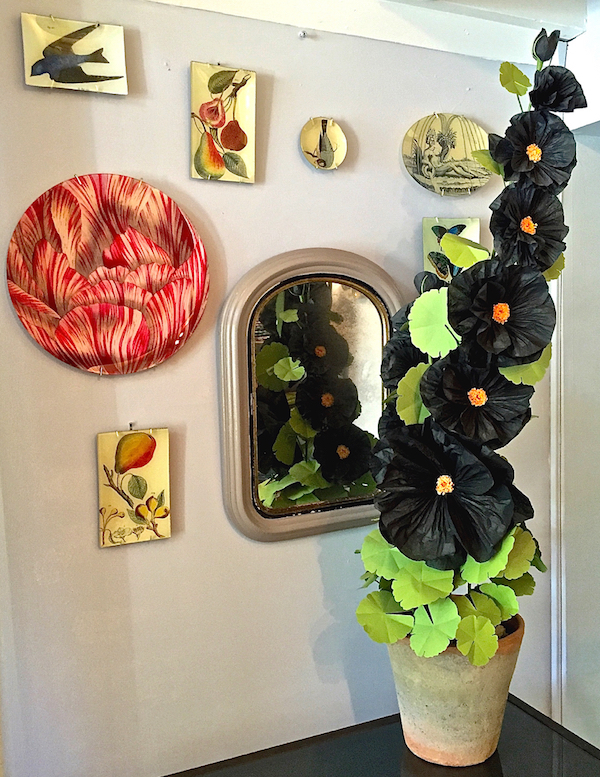 Her entrée into design was at Peter Marino where she sourced textiles. 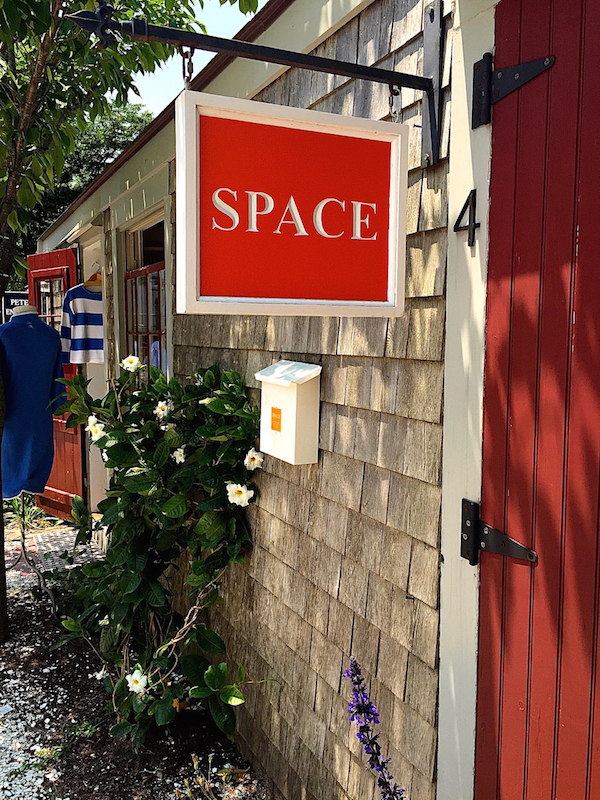 After stints in New York and Aspen, Elise’s love of travel, food and culture and sourcing unusual finds finally brought her back to Nantucket where she opened SPACE. Here she has found an outlet to see the world through other’s eyes, share stories of the artists and artisans she supports and express her creative vision. Whether an anchor light, made in California, above, a wide variety of textiles or Artesano’s beautiful hats hand-woven in Eduador, below, Elise can tell you the how, why and where of every item in her store – how it is made, why she carries it and all about the artist or artisanal company that produces it. And even on this tiny isle, Elise has her finger on the pulse on what’s new and stylish. 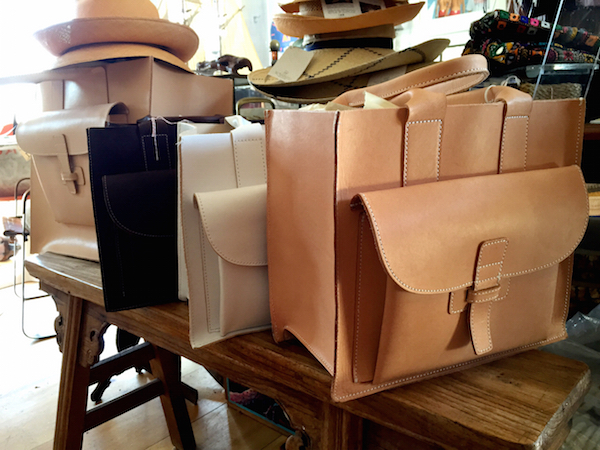 The Los Angeles based stylist and multi talented Agnes Baddoo is represented with her coveted leather bags and totes. 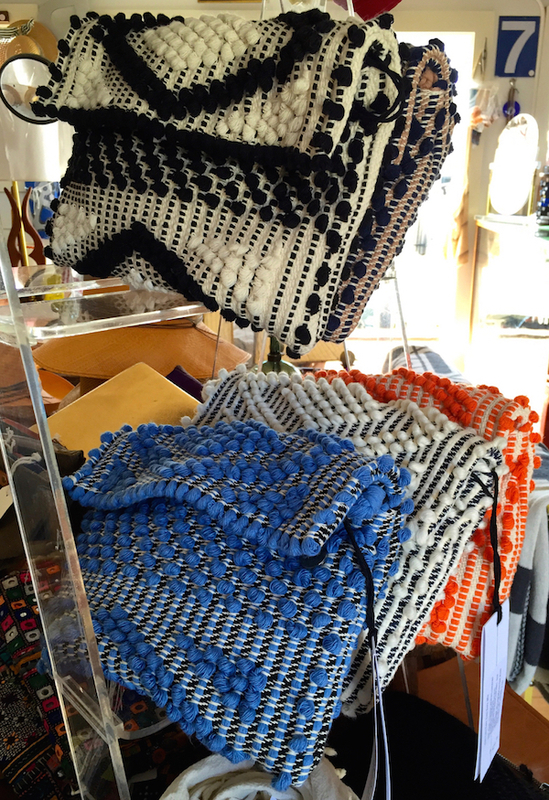 I fell hard for these gorgeous Antonello bags hand crafted on traditional looms in Sardinia. Wool from organic farmed sheep is dyed with local Sardinian plants producing eco friendly products that are produced in workshops managed wholly by women. Totes, shoulder bags and clutches are all equally chic with their distinctive pattern, texture and color. Since his first show at Paul Morris Gallery in 1996, Peter Dayton has become a highly collected artist, owned by the likes of Valentino, Peter Marino and Georgina Brandolini. 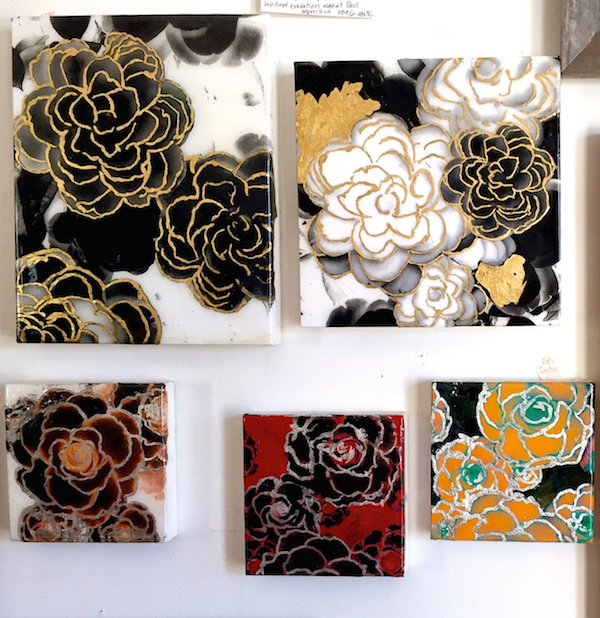 Using farm seed catalogues, he transforms and manipulates the imagery into a collage, then coating the resulting canvas with resin or gel. 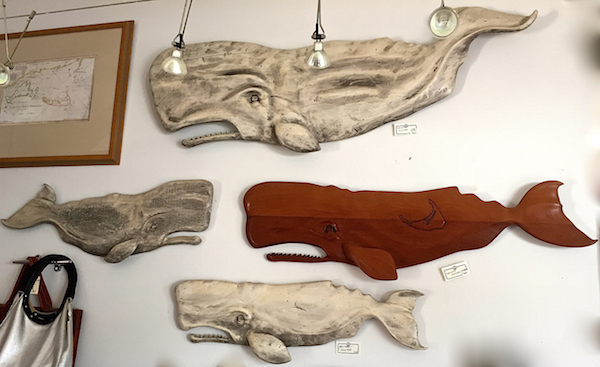 These gems of his, below, hang unobtrusively on a large gallery wall at SPACE. 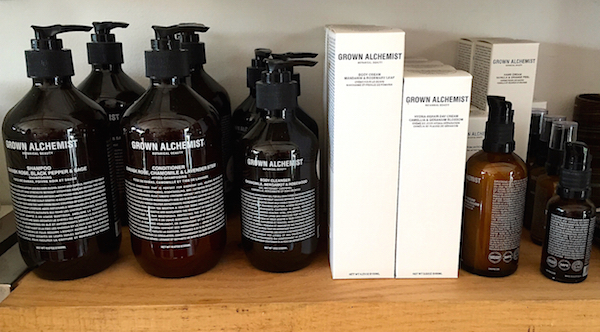 and an organic skincare line from Australia, Grown Alchemist, that Elise raves is the best synthesis of all natural botanical ingredients with advanced scientific methodology. 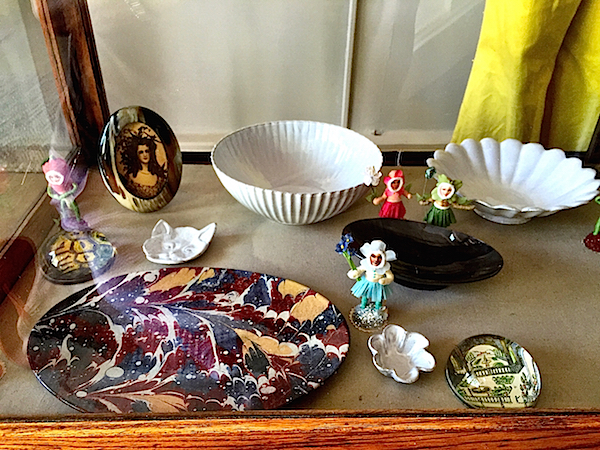 This is just the tip of the iceberg in this tempting cabinet of chic curiosities. 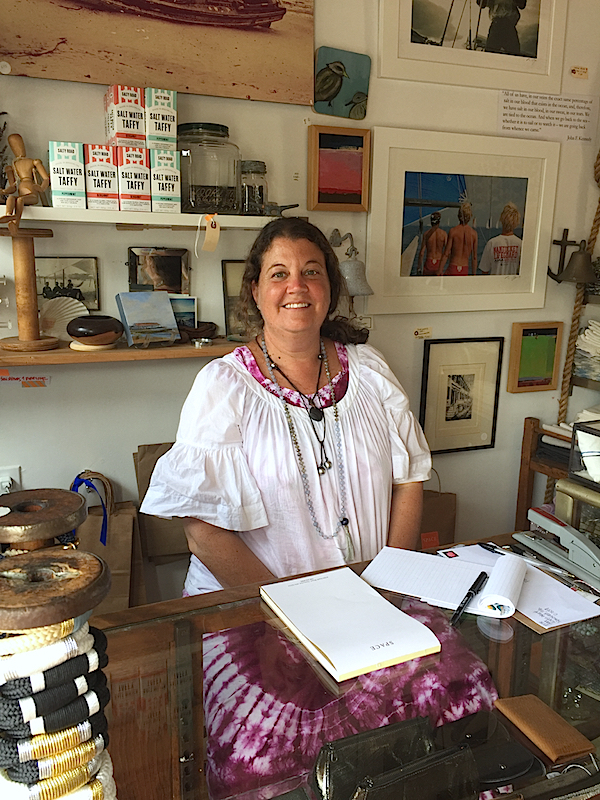 You’ll have a hard time leaving without exploring every corner – and be sure to try the best salt water taffy you’ve every had – Elise, below, will explain exactly why you have to have it! 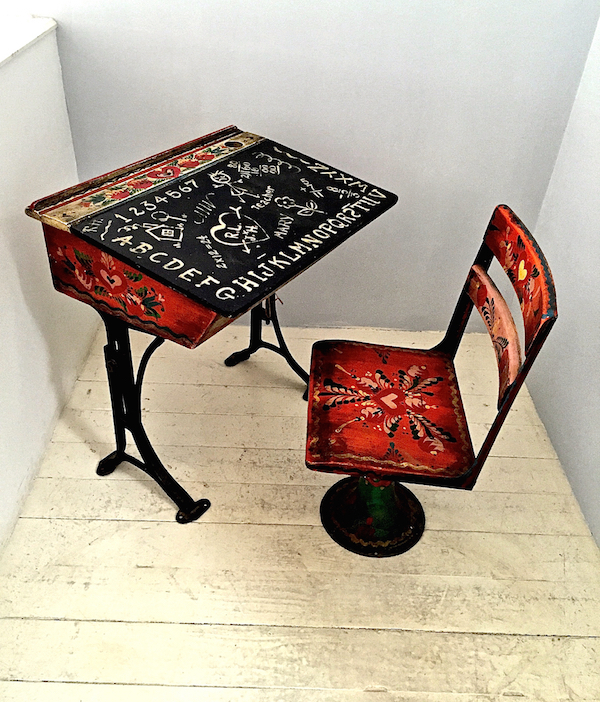 as well as an unusual assortment of accessories, art and the unexpected. 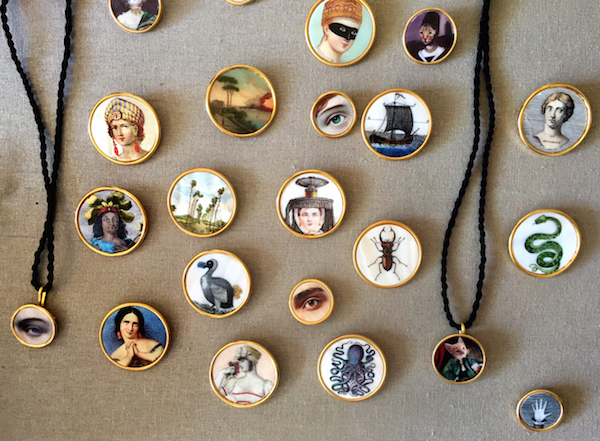 I was intrigued by these lovely charms that can be worn as pins or pendants. 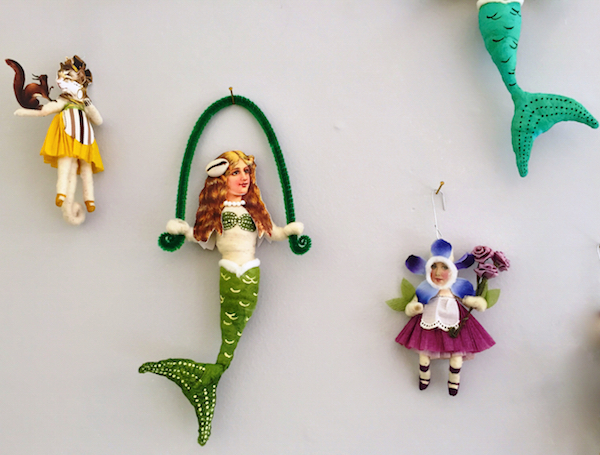 And these tiny figures are enchanting in an inexplicable rather other worldly sort of way. 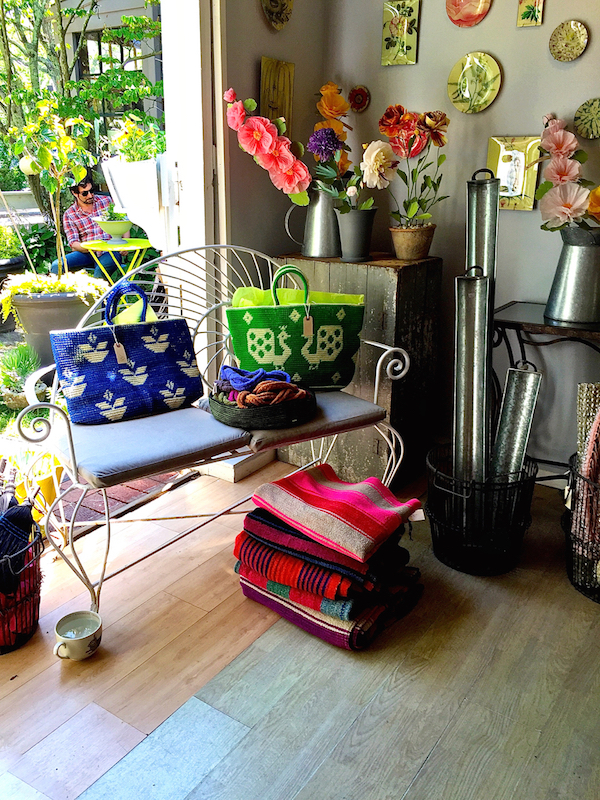 and a selection of throws, table textiles, and bags. 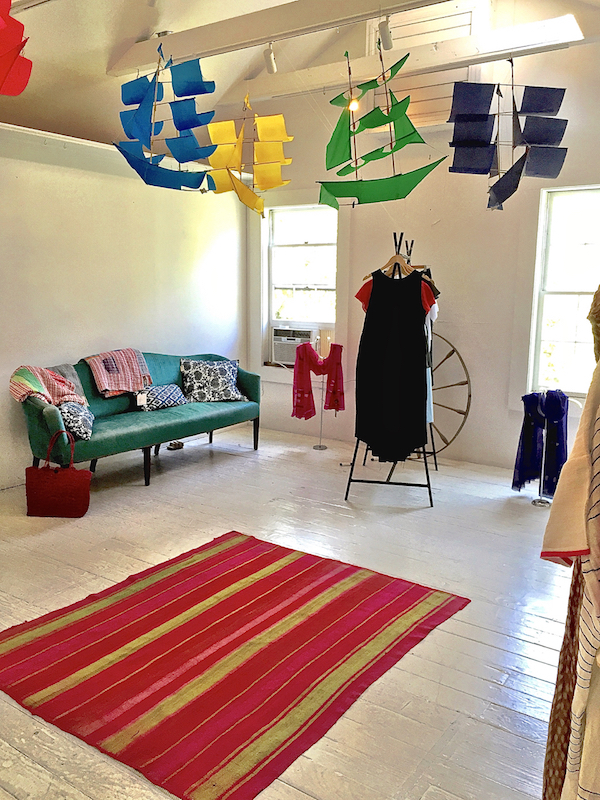 Upstairs is a light filled fashion loft including brands such as Lem Lem, Isobel & Cleo and Loup Charmant. 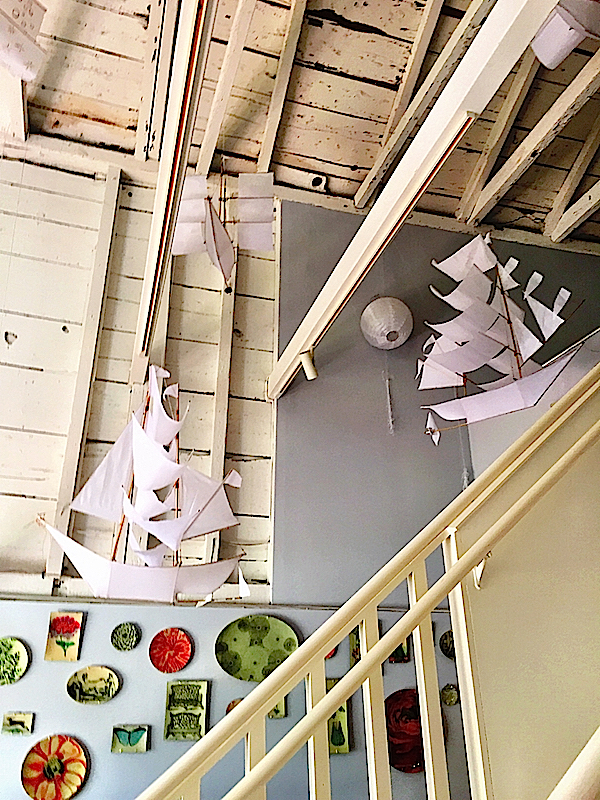 While I neglected to take a photo, there is also a lovely grouping of jewelry from local and New York artists and don’t forget to look up at the Peter Pan moment hanging high. 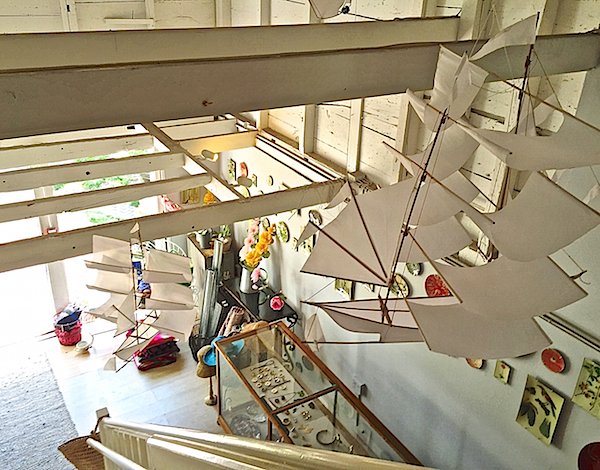 I was assured these whimsical kites are a breeze to fly! This entry posted in art, fashion, gifts, Nantucket, travel. Entry Tags: Nantucket, Shopping, Travel Bookmark the permalink. Sarah Ellis has such a wonderful eye – I love her choices. 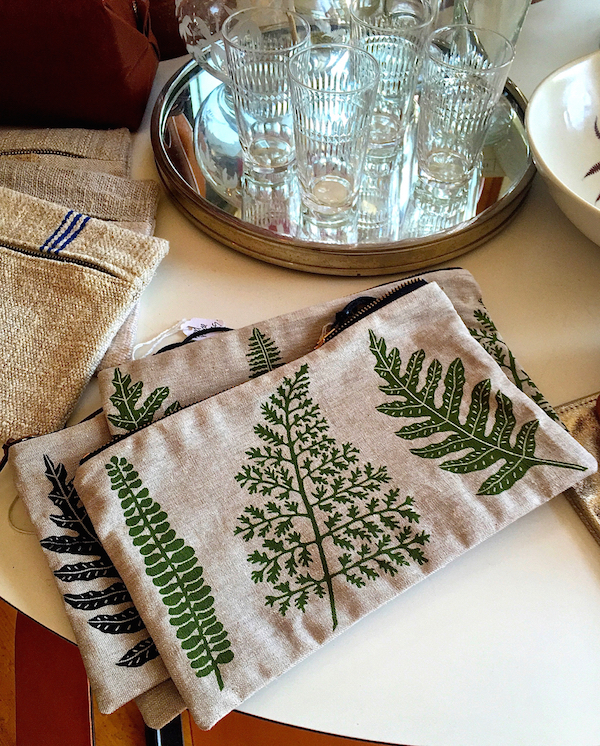 It is a treat to visit Scrub Oak, not only to see the items she has curated but to finally have the opportunity to select something that is not in every other shop everywhere. 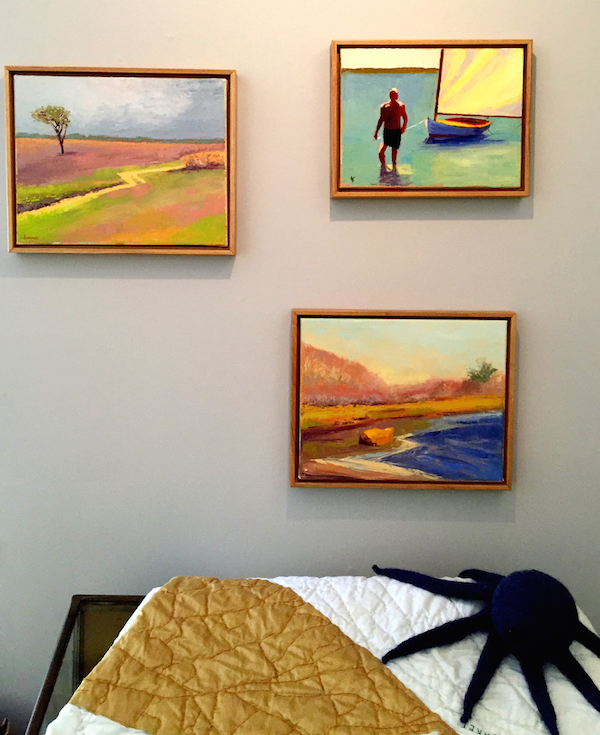 Nantucket is so lucky to have Sarah and Scrub Oak. Thank you, Stacey, and Sarah! Stacey these two shops are ones I could spend hours perusing. 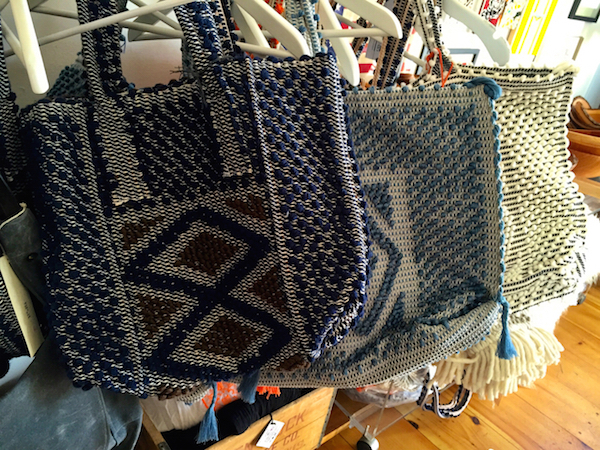 These women have such an artistic eye and carry so many exquisite and artisanal pieces! Adore!! Thank you Stacy for these two posts. 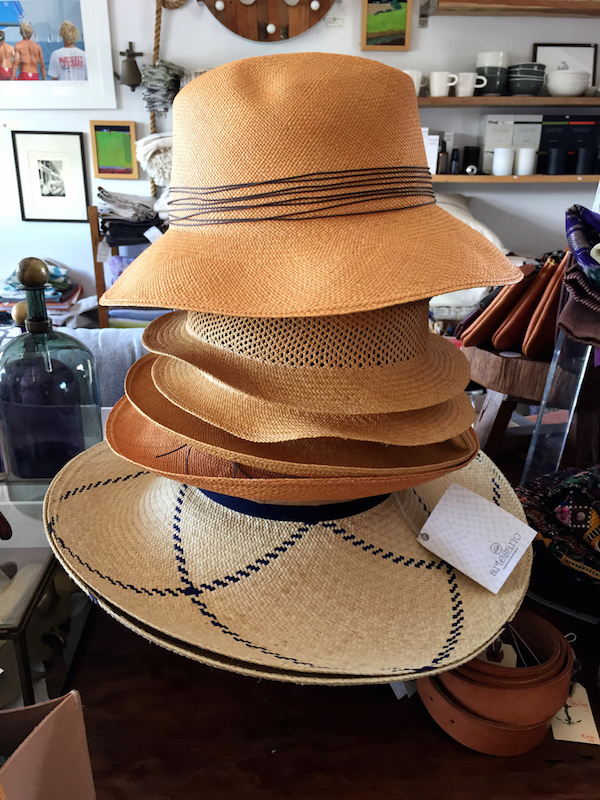 I’m heading to Nantucket the middle of August to do a trunk show and will happily check out all the wonderful shops you have mentioned. 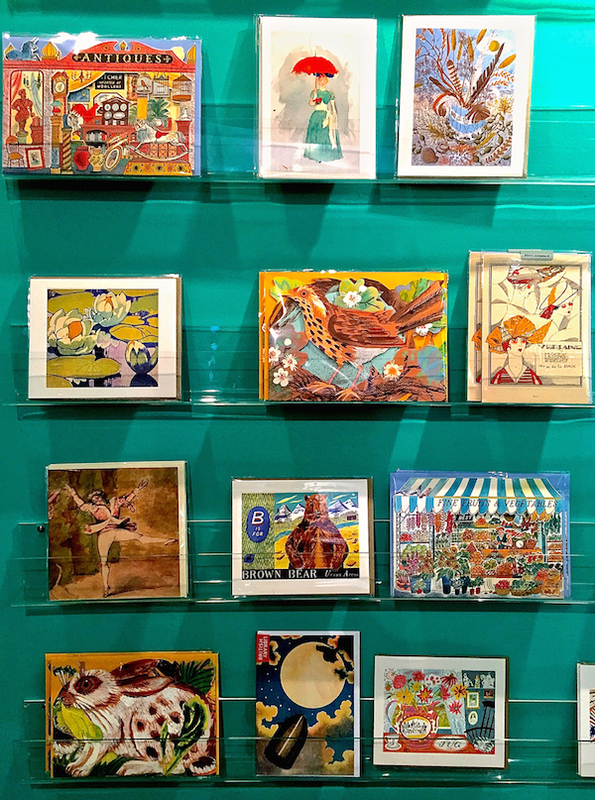 I’m heading to Nantucket for the Decorative and Fine Art Fair and I definitely plan to check out these shops! 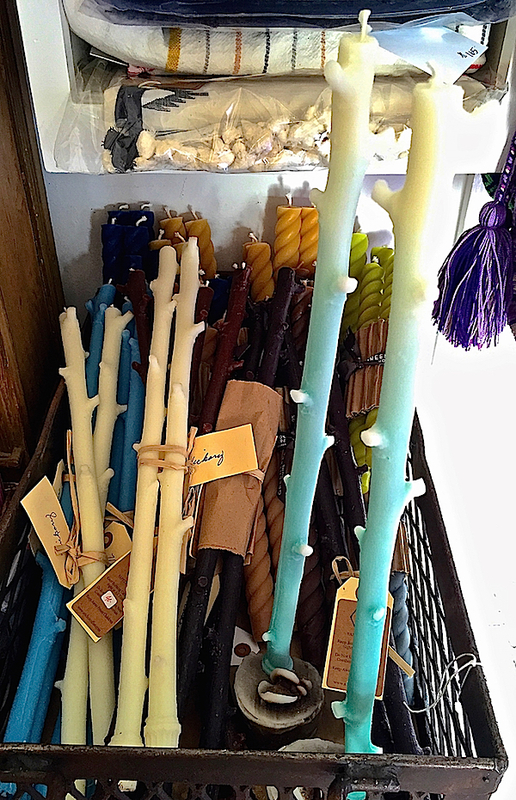 I particularly love the branch candles and the Antonello bags! 81 queries in 0.456 seconds.